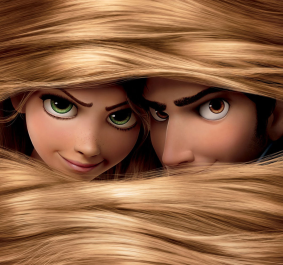 Rapunzel could tell you a thing or two about hair, hers grew to be many metres long. The current real world record for this is held by a Chinese woman in the Guangxi province, Xie Qiuping, whose hair was measured in 2004 to be… here it comes… 5.5 metres in length. For me, being just 1.78 metres tall, that’s over three times my height… Impressive, isn’t it? The person who actually had the longest hair in the world is… a man named Tran Van, whose hair was 6.8m in length and weighed 10kg…he died before his record could be registered.. but imagine a headline on the next Elle magazine cover saying: “Lose 10kg in less than a second!” Just one snip of the scissors. That’s probably another record. Even if the hair on our heads can grow that long, our body hair could never hope for such a glorious destiny. The catagen phase is a transition phase, where the hair’s growth slows down until it stops. This phase takes 2-3 months. The last one, the telogen phase, is the resting phase, where the hair stops growing and falls out, after which a new hair “takes its place”. This takes roughly 3 months. 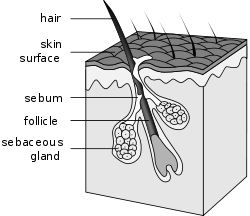 Body hair goes through the same three phases, but the main difference is in the duration of the anagen phase, the growth phase, which only lasts for 4-6 months, which is nothing like the 3-7 years of head hair. That’s why they could never grow as long as our head hair. Whew..sigh of relief. 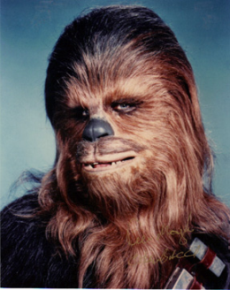 We could never end up looking like Chewbacca from Star Wars. by the way , I am a huge fan of star wars. thank you david, well I am a fan too, though I did not like the latest films as much though.